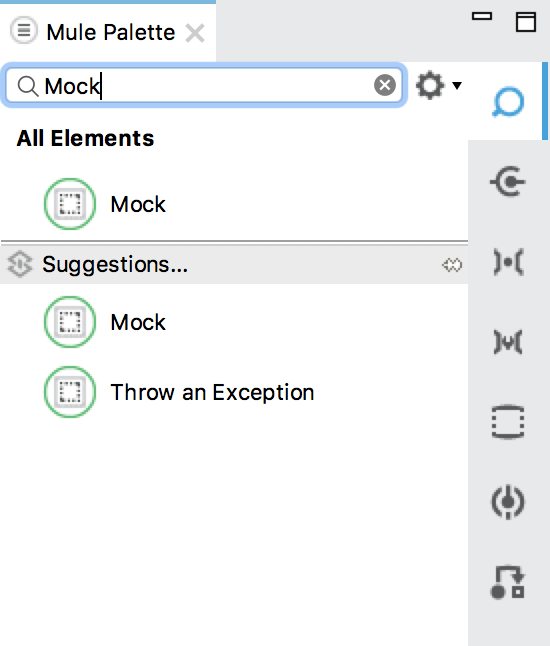 Typically, in Unit Test, we will use Mocking frameworks such as Mockito, PowerMock to simulate how objects will execute when our Unit Test code calls their methods. 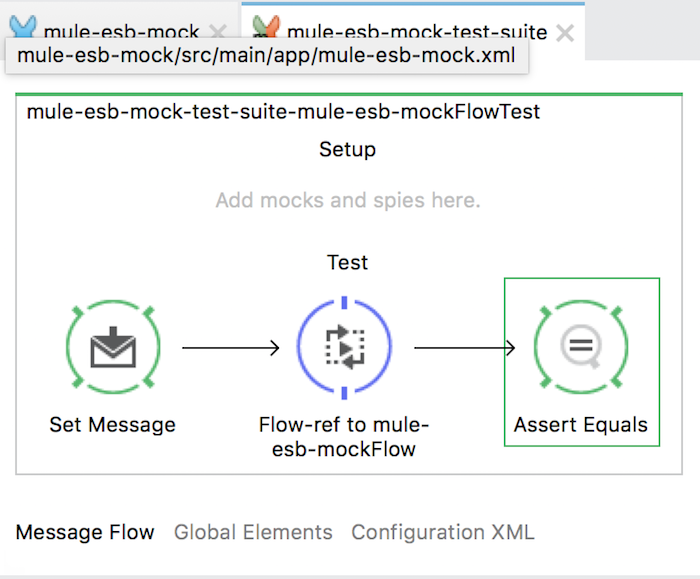 Similarly, in Mule ESB, we also have the Mock component used in MUnit to simulate how endpoints in a Mule Flow execute. How is it in details? Let’s find out in this tutorial. 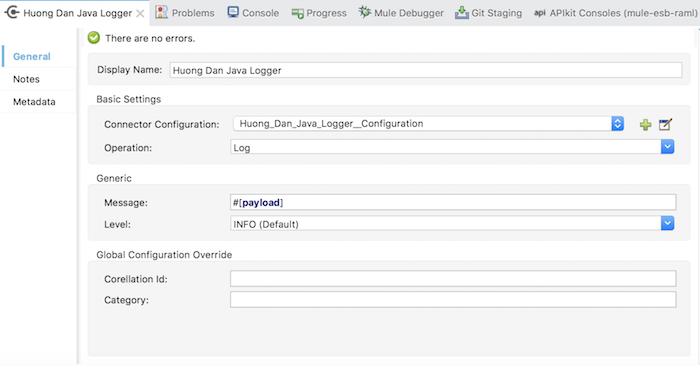 This Mule Flow will allow users to access our application and pass a request parameter named “name”. 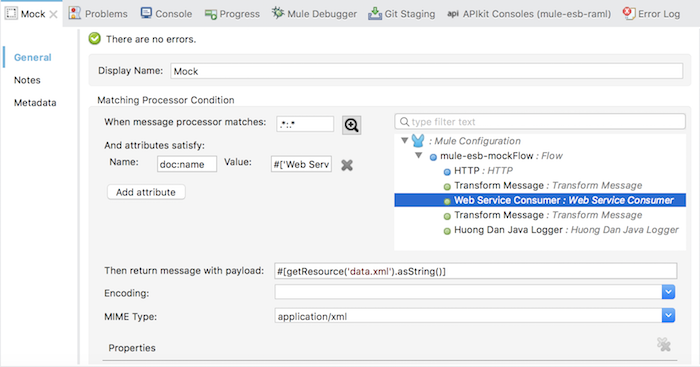 Then, our Mule Flow will invoke a SOAP Web Service that we implemented in this tutorial so that we can return the result to the user with “Hello,” plus with the value of the parameter name. The HTTP Listener Connector is configured so that the client can access our application using http://localhost:8082/mock. 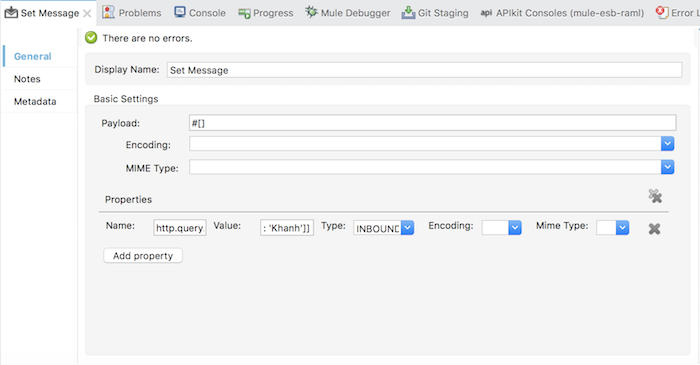 You can see how to configure HTTP Listener Connector here. The user can pass the parameter name by request as follows: http://localhost:8082/mock?name=Khanh. 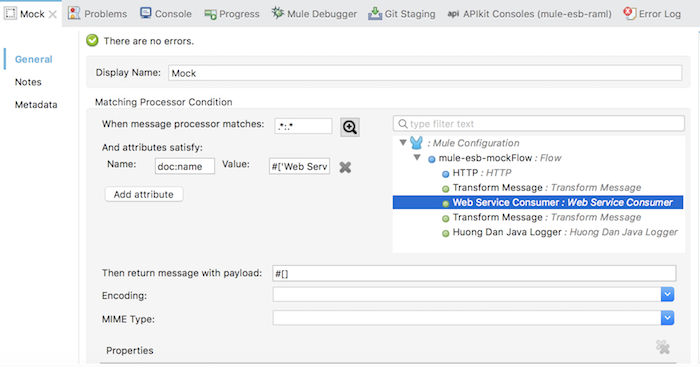 The first Transform Message will build a request message sent to the SOAP Web Service. 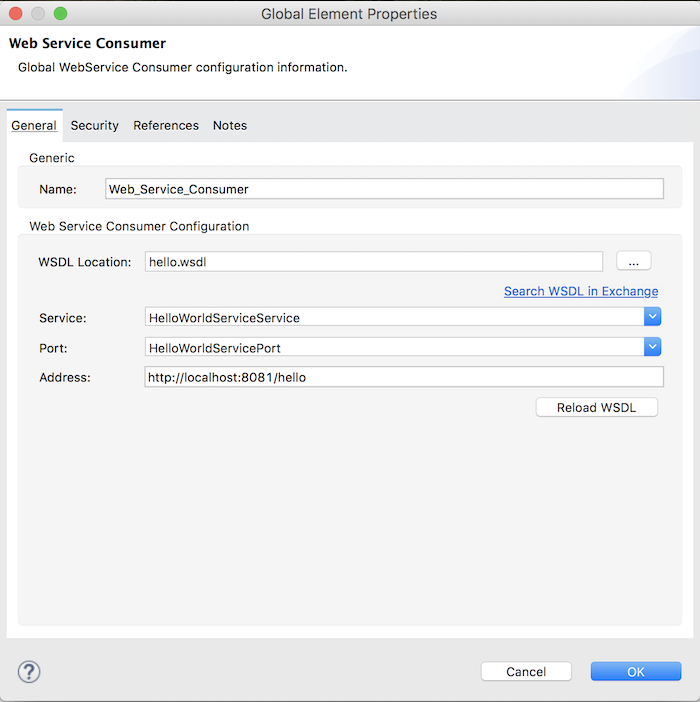 Next is the configuration for the Web Service Consumer component. 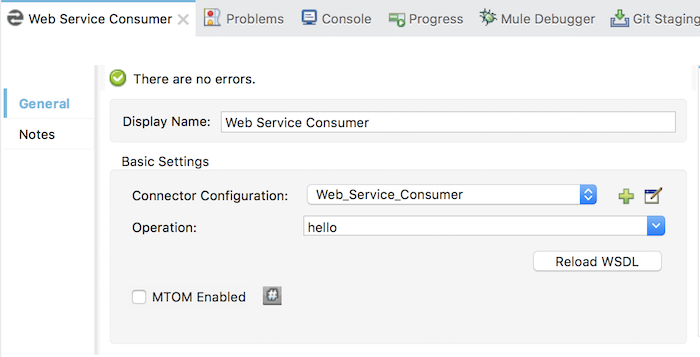 with the hello.wsdl file located in your src/main/resource directory. After receiving a response from the SOAP Web Service, I will use the Transform Message to retrieve the message to be returned to the user. 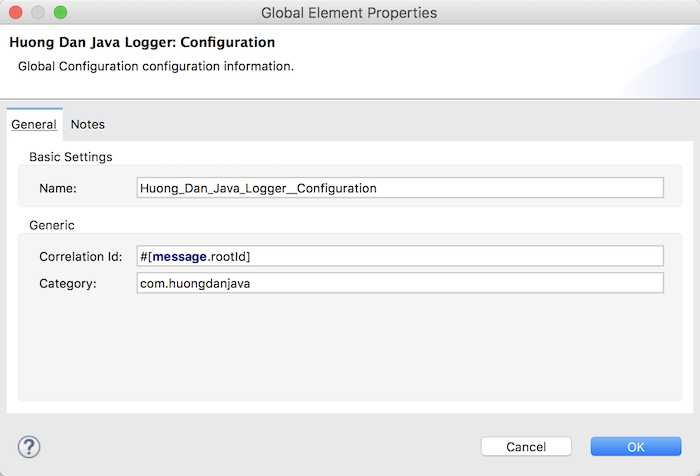 The last endpoint I used was Huong Dan Java Logger to log the message content that should be returned to the user. 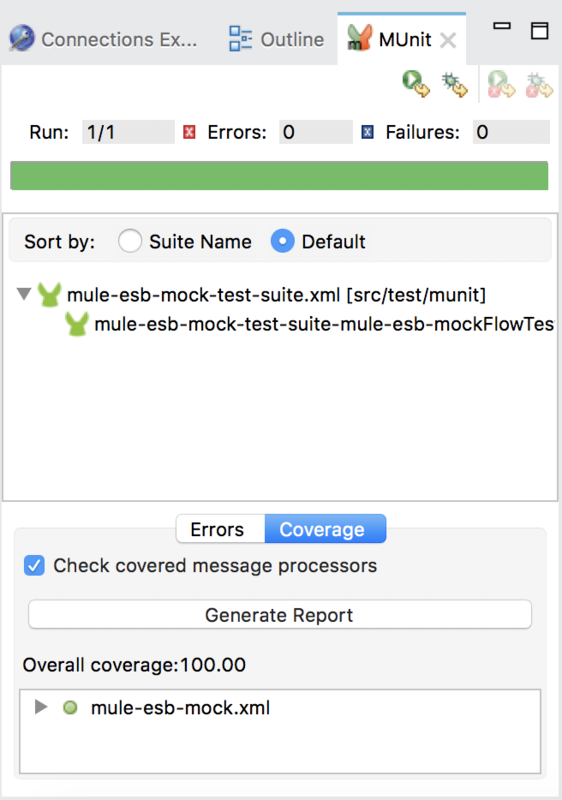 OK, now we will use MUnit to write Unit Test for our Mule Flow. 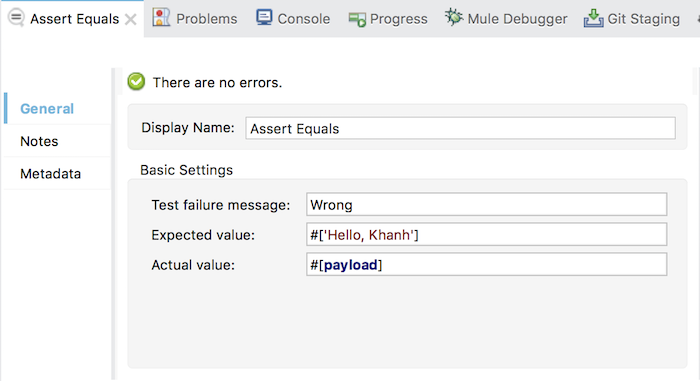 The Set Message component will allow us to create a request message with the Inbound Property so that we can pass a request with the name parameter and the value is Khanh. Assert Equals will assert the content returned to the user with the content which we expect. Now, we will go to the most important part in this tutorial. As you can see, if you run it normally to test the application, our SOAP Web Service http://localhost:8081/hello is available so we can run it. But when running MUnit, most of SOAP Web Service does not exist. 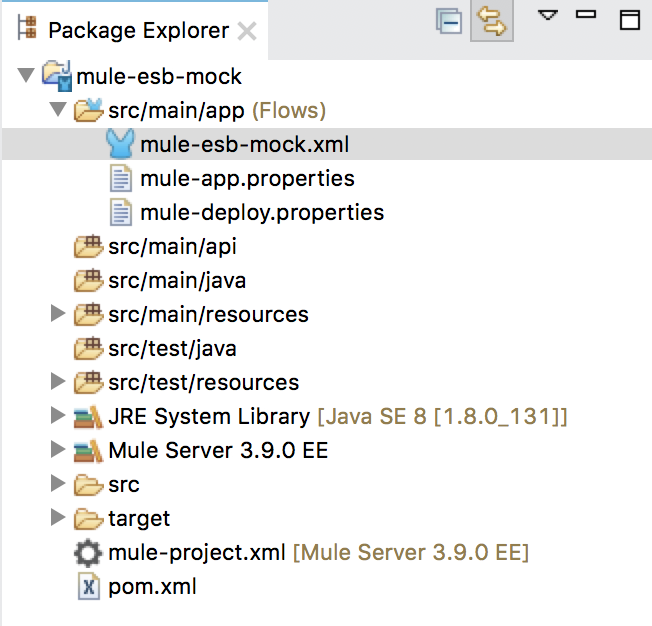 To ensure that we can run MUnit anywhere, we have to emulate it with the Mock component of the Mule ESB. 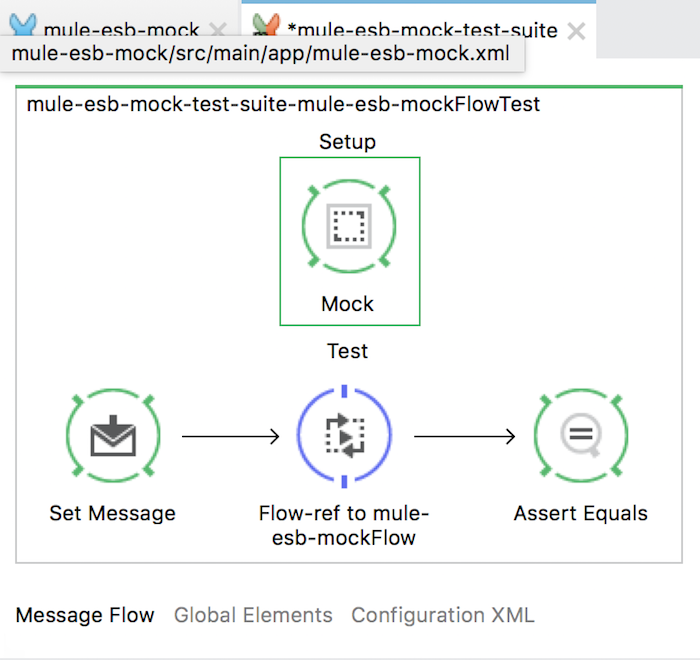 There are two things we need to configure for a Mock component: Which endpoint do we emulate in Mule Flow, and then what would the return value be? 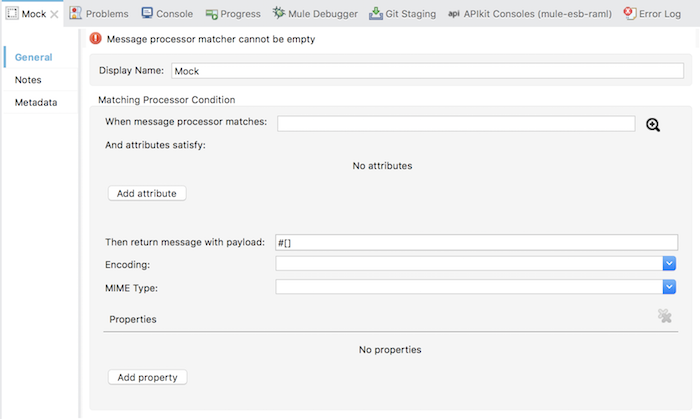 All of these configurations will be in the Matching Processor Condition section of the Mock component. And what is the return value, we will configure in the “Then return message with payload” box. As you can see, I used the getResource() method with the parameter name of the file containing the return value. This file is located in your /src/test/resources directory. After taking the contents of the data.xml file, we can convert the contents of the file through the String as we did above, and we can also convert the content of the file into a Stream or ByteArray as follows. Selecting the MIME type is also important to specify the payload format.